NAOP is municipal serving section in educational sphare. It work in several directions. One of them is organization of astronomcal student courses. They include theoretical and practical training. It realizes by astronomical lessons in NAOP and organize of expedition and summer school. NAOP organizes astronomical student courses. The reception realizes by filling application form. The student courses are FREE! In stellar hall of the planetarium there are 45 seats. Its diameter is 8 metres. 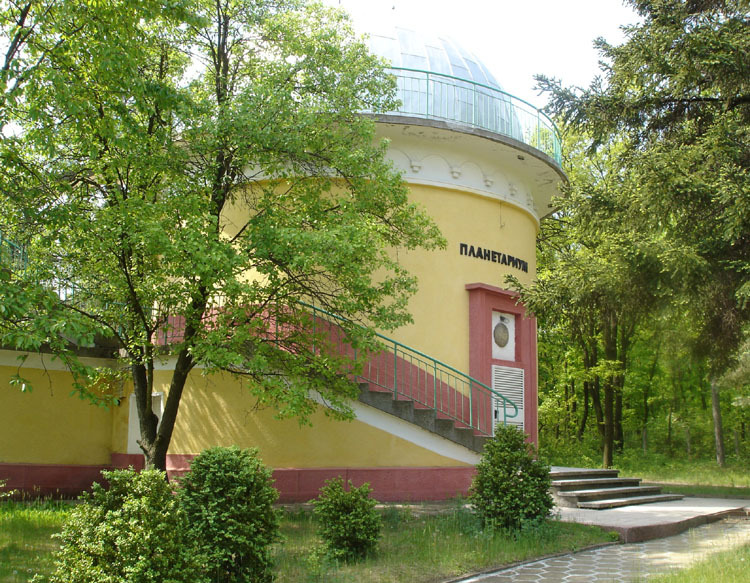 The first planetarium in Bulgaria is made by Milko Milanov in Dimitrovgrad. The apparatus uses 47 projectors for film strips. It showed night sky in north hemisphare and also the place of the Sun and Moon with its phases. 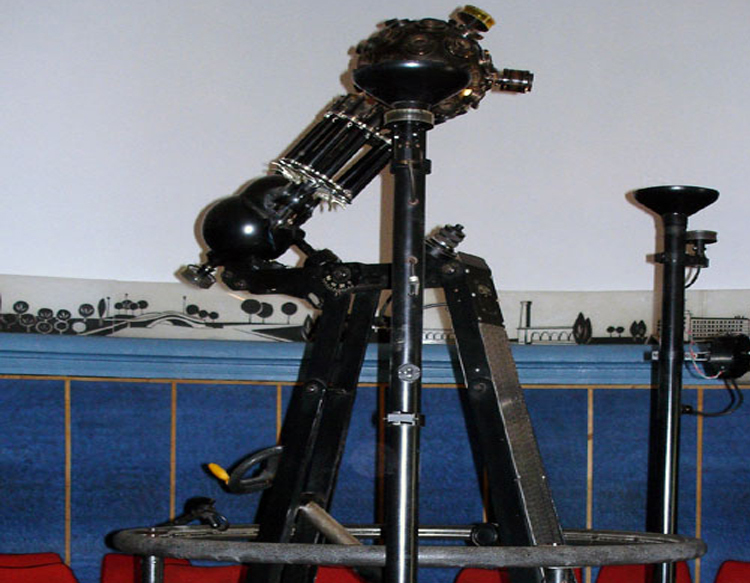 In thos time from 1962 to 1972 with this apparatus were demonstrated the lectures in stellar hall. 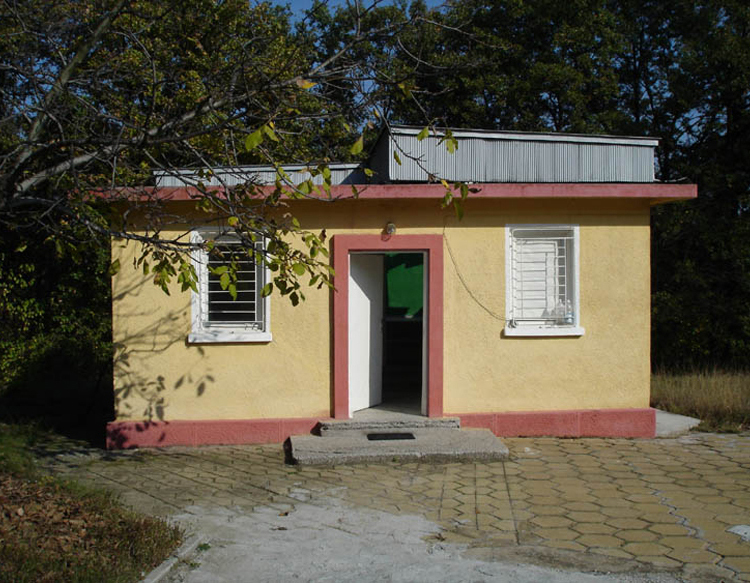 In astronomical observatory in NAOP “Giordano Bruno” there are observating pavilion with removable roof which at the moment doesn’t work, because of amortisation of the building. To realize the observations, the telescopes are in the yard of NAOP “Giordano Bruno”. Every Wednesday there are night observations if it is possible. The clear sky without clouds is very important for the night observating.